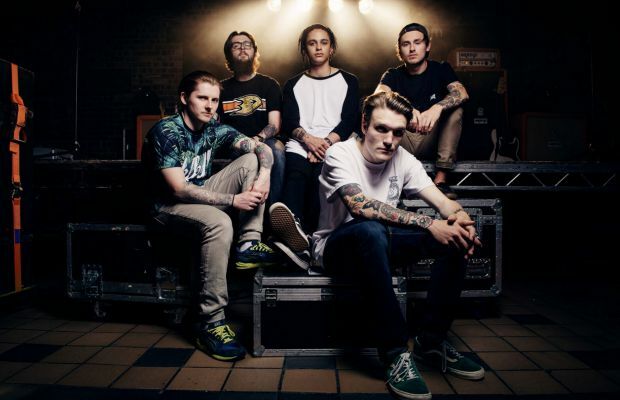 Following the online accusations against Neck Deep guitarist Lloyd Roberts, the band and Roberts will part ways. The group released a statement today through their official Facebook page, which claims that Roberts has chosen to step down from the band. It also affirms that all shows will go ahead as scheduled, including their upcoming tour with All Time Low and Sleeping With Sirens. “Yesterday, there were some allegations aimed towards our band. We feel that these situations should always be approached with the utmost regard for all parties, so we thank you for your patience whilst we have dealt with this matter internally. Whilst the full facts of the matter at hand are still unclear, our guitarist Lloyd Roberts has decided to step down from Neck Deep to focus on his family, as he does not feel comfortable having his reputation, or that of the band sullied further by these accusations. We sincerely apologise to anyone who has been caused distress or been affected by any of these events. As a band, we absolutely treasure our fans, we would not be anywhere without them, and we would never want them to feel disrespected or taken advantage of. We would, however, like to ask you all to help be part of the solution, to not take part in posting rumours and gossip on the Internet in the absence of clear facts. We also ask that you please refrain from attacking the people making these statements via social media – we do not want anyone to feel victimised in any way. Further, we cannot emphasise enough that serious allegations of this kind should ALWAYS be brought to the attention of the relevant authorities, and we urge anyone genuinely affected to use those official channels.